👋 Hey MetaLab, it's me Sarah. So you're looking for a UX Researcher? I wanted to give you a bit of a break from resume surfing and cover letter skimming, so I've created this comprehensive pitch explaining why I'd love to be your next UX Researcher. 💁‍♀️ You're probably wondering who I am. 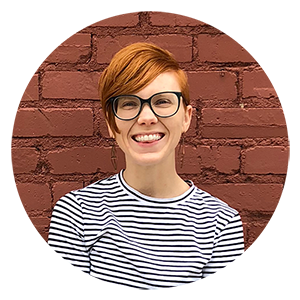 I'm Sarah, a UX researcher with an insatiable curiosity. I am fascinated by people and passionate about using design research to empower users. My favorite part about UX is getting in front of users and learning about their lives, their ambitions, and what makes them cringe. So often there is a disconnect between the products we design and the people we design them for. I want to change that. My BFA in design and 6 years of experience in various extensions of the field (including: graphic design, marketing, branding, and data visualization) have collectively inspired my passion for UX. I quickly fell in love with the art of crafting engaging user experiences and have since been refining my research skills through self-directed case studies on products I'm passionate about. The following case studies illustrate my research process, design aesthetic, and passion for creating great user experiences. Kindara is a fertility tracking app that inspired my first UX case study. I used data collected through my research and usability testing to redesign the iOS onboarding flow, with a focus on empowering new users to take control of their fertility. My Kindara case study has over 1k claps on Medium and has received praise from industry pros like Sarah Doody, Kayce Reed-Buechlein, and Erik Kennedy. I was humbled to have the opportunity to talk with Tia and the rest of the Kindara dev team about my research process and findings and learn more about the future of the app. TED-Ed is one of TED's education initiatives, featuring an innovative lesson creation tool. I used data collected through my research and usability testing to reconstruct the process for creating lessons within the web app, with a focus on making global education more accessible. For my TED-Ed case study, I wanted to spend more time navigating the intricacies of user research, so I conducted 3 rounds of interviews and usability tests with 6 users. This project taught me so much about best practices for interviewing users, conducting usability tests, running competitive analyses, creating prototypes, etc., and got me even more fired up about wanting to jump into this field. Working in UX has made me aware of how fascinated I am by people—how they think, live, and behave—and how to turn an intimate understanding of users into functional, intuitive products. I love seeing how user behavior translates into design decisions, and ultimately into better products. There's just something so exciting about encouraging users to play an active role in the design of their product. As a UX researcher, I get to be an advocate for users, ensuring their voices are not only heard, but remain at the core of everything I do. To be honest, I'm a huge fan. As a designer, I appreciate your minimalist aesthetic and simple, cohesive style. As a UXer, I'm in awe of the exceptional user experiences you create for your clients. As a human, I'm inspired by your authenticity, your commitment to providing innovative solutions to challenging problems, and your passion for helping launch great products.